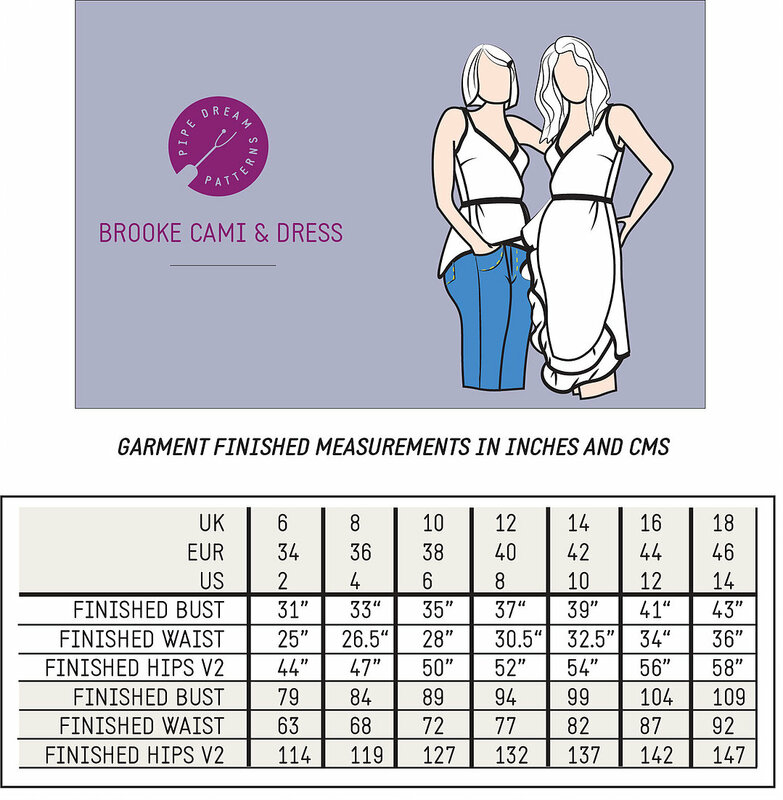 The Brooke Cami Dress is a low cut wrap, that you can wear either as a strappy camisole or a full skirted wrap dress. The addition of the flounces is completely optional, you can add one two or leave it as it is, but the overall garment is designed to be fully bias bound so you can either make it pop with a contrast or use a more muted/matching colour. 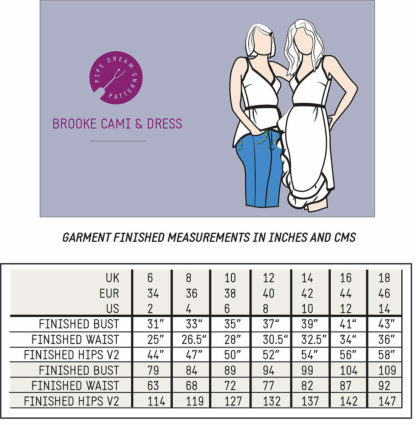 The Brooke Cami is designed to squeeze into your smart casual wardrobe whereas the dress is more suited to occasion wear. This pattern is an intermediate make; the fitting of the bust may need some pattern adjustments, particularly across the wrap front which you want to be contoured close to your chest. You are advised to toile this fit before proceeding to your final fabric choice. 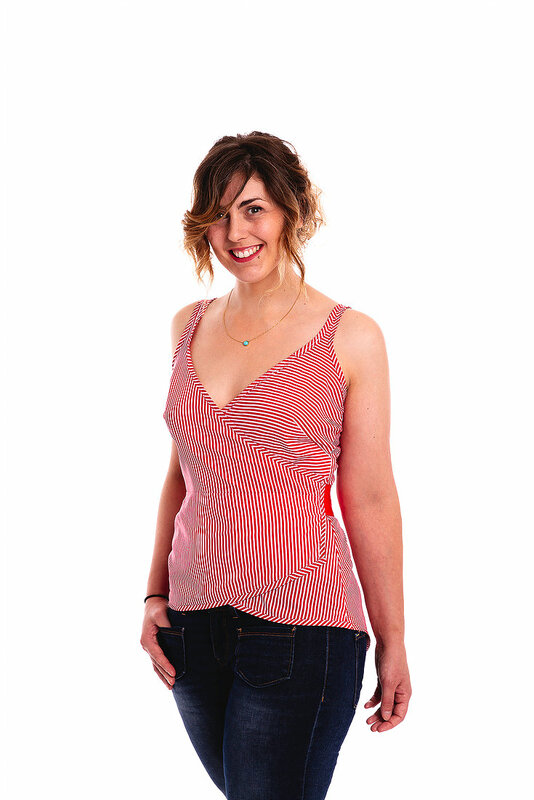 Find out more about this sewing pattern from Pipe Dream Patterns here.